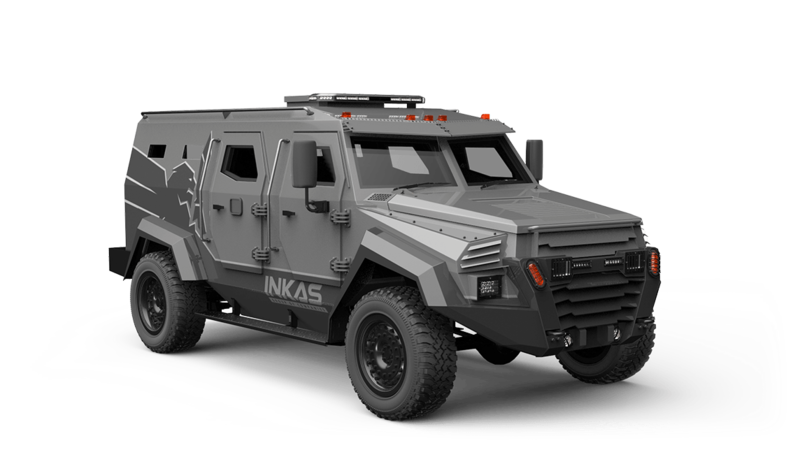 A one-of-its-kind tactical vehicle designed to aid in valuables collection and transportation across a variety of terrains and climate conditions. 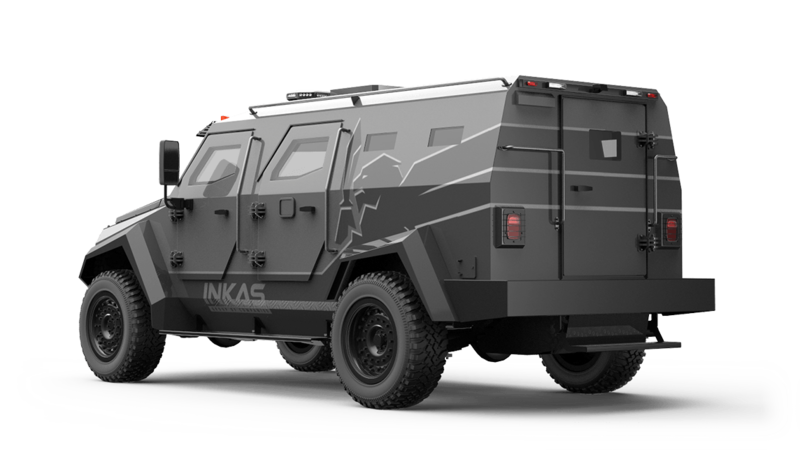 This high-value items transport vehicle is built to serve in the world's most volatile environments. The vehicle is fully-configurable and can be specifically outfitted to transport a wide range of valuables. From precious metals, to large-scale document storages, server racks or even art pieces – the tactical heavy-duty and off-road capabilities of this vehicle ensure the safe transport and delivery of its payload. 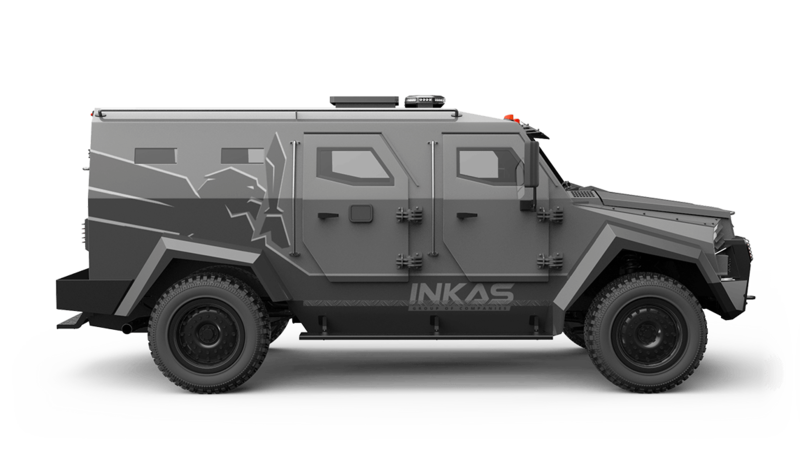 This transport vehicle is based on the INKAS® Sentry APC and offers a multitude of security features, technology upgrades and internal compartment customizations enabling it to adhere to even the most specific requirements. Unparalleled in its class, this secure transport vehicle outperforms its competitors when it comes to security, customizability and long-term dependable operation regardless of terrain, climate conditions or surrounding environment.